Wednesday April 17, 2019-Jubilee Party Secretary-General, Raphael Tuju, has declared his unrivalled support for the political handshake between President Uhuru Kenyatta and ODM Party leader Raila Odinga. 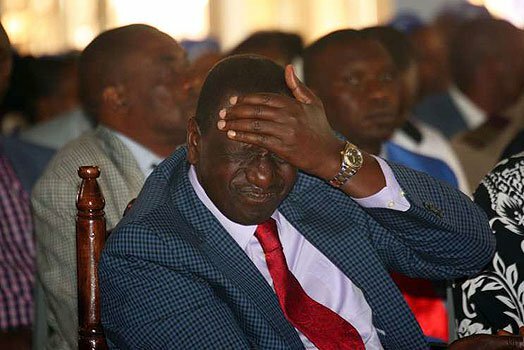 This comes even as Deputy President William Ruto and his allies continue to oppose the handshake, saying it has brought divisions in Government. Speaking on Citizen TV yesterday, Tuju said that the handshake instantly killed his bad blood with the ODM Party leader. He recalled how his rivalry with Odinga led to violence being visited on some of his close relatives and supporters, by people believed to be the ODM leaders’ supporters. “If there’s someone who should have reservations with the handshake, then it is me. For 15 years I never saw eye to eye with Raila Odinga,” Tuju said. "After the handshake, the Kenyan shilling strengthened against the dollar. Investor confidence has been on the rise and the environment in the country is calm,” he added. Uhuru and Odinga buried their political hatchet on March 09, 2018, in a move that has since rattled a section of leaders elected on the Jubilee Party ticket who claim that Odinga is out to derail Deputy President William Ruto’s chances of becoming President in the 2022 General Elections. hand shake or NO hand shake Ruto is our next president!! !